View of a Three-masted Sailing Ship. 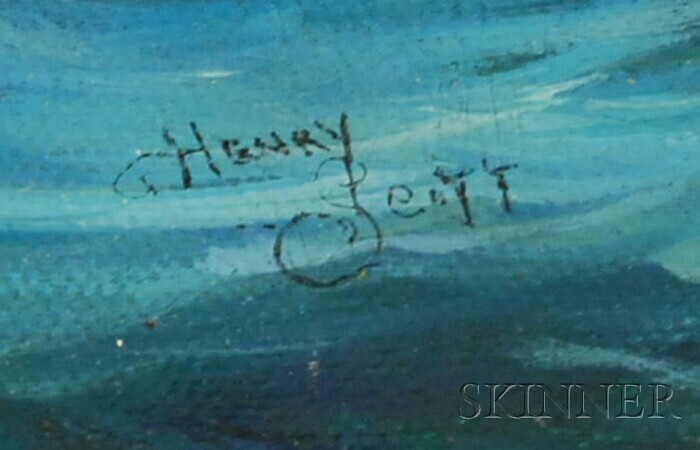 Signed or inscribed "Henry Scott" l.r. Signed or inscribed "Henry Scott" l.r. Oil on canvas, 23 1/2 x 27 3/4 in., framed. Condition: Laid onto fiberboard, mounting bubbles, surface grime. Oil on canvas, 23 1/2 x 27 3/4 in., framed.